Have you ever heard the expression that you should “dance like nobody’s watching?” This is something that people often say when they are in a situation where they would like to cut loose but they are a little nervous about who might see them in such a weird situation. To be honest, life is too short to worry about the little things and sometimes, you really do need to dance like nobody’s watching. Nobody knows this better than Christina Kokonis-Viggers. 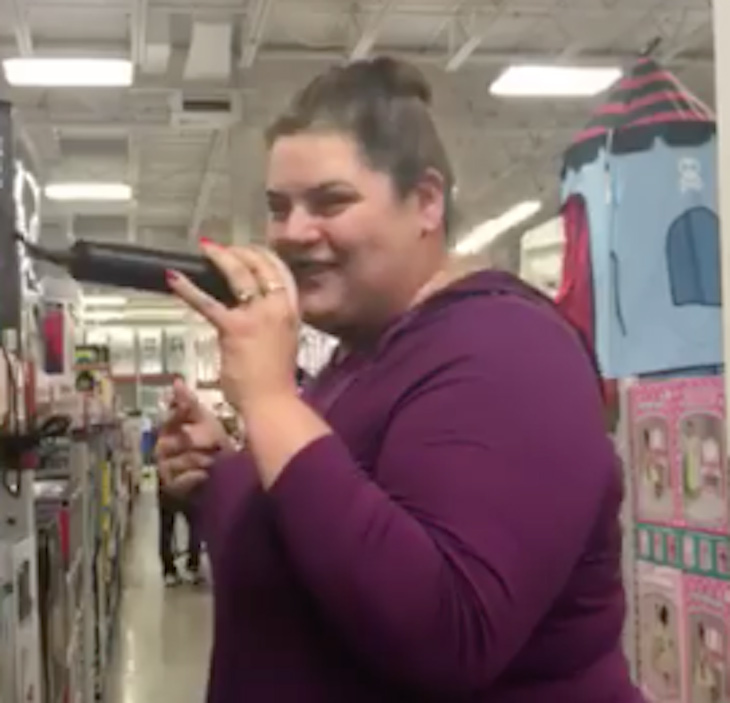 Christina was recently visiting a Sam’s Club and she happened to find a karaoke machine. She was walking through the discount store with her friend, Amanda Lasher, and they almost walked right by it. 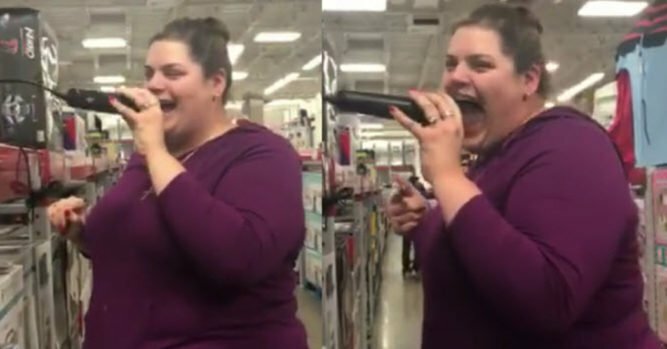 Fortunately, Christina was not going to allow this moment to pass by so she did something that absolutely took her friend and other shoppers by surprise. Rather than being embarrassed, Amanda grabbed her phone and began to record. Christina walked right over to a display karaoke machine and selected a song from the musical, Cabaret. 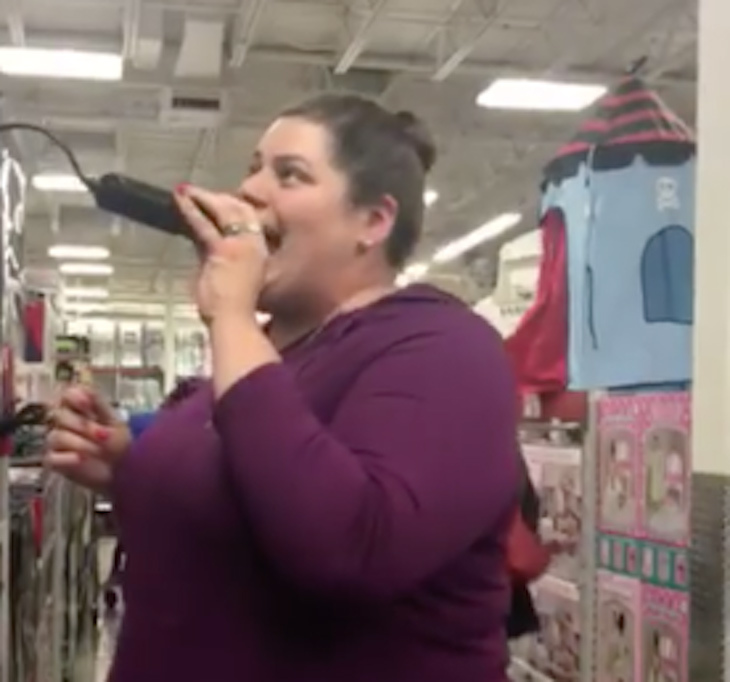 When she started singing, other shoppers began to take notice and you can even see the kids turning their heads and staring at her as they go by. Christina was too busy singing her heart out to notice. 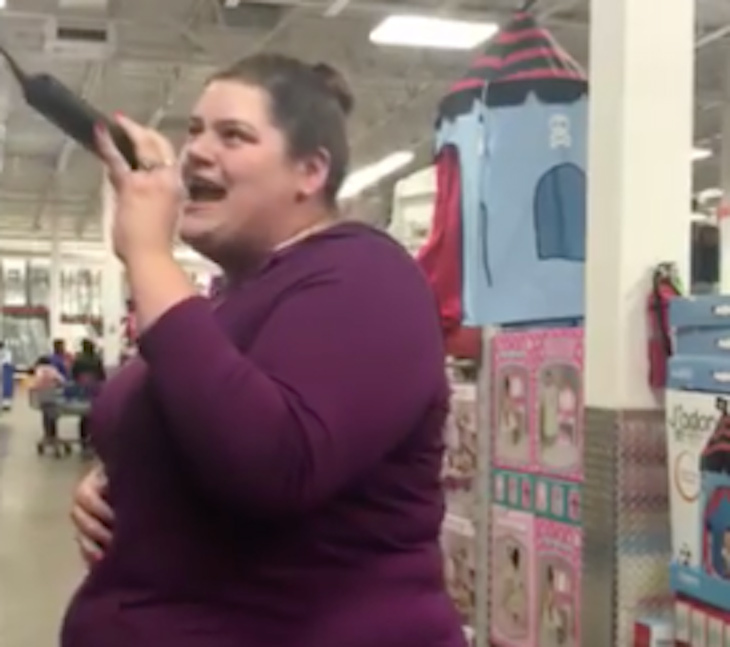 Nobody could believe that such a beautiful voice came from somebody that was just randomly shopping at Sam’s Club. After they left the store, Amanda wasted no time putting the video on Facebook. She knew that it was going to go viral and she was absolutely right! It only took a matter of hours before the video was viewed some 8 million times and it now has well over 14 million views. Everybody is in love with Christina’s voice.